A map of all of the Bicycle Tours we have taken in Germany and the surrounding countries. Click on the red lines to see a detailed travelogue about the tour. Click on any red line above and note the name of the tour. Here is a list of our rides for which I have written travelogues: Click on any underlined link to take you to a description. Or, page down for brief descriptions and distances. What follows is an extremely short description of the various tours depicted on this map. For a complete travelogue click the links above, click on the red lines on the map, or navigate through the menu or the sitemap. The Aller, sometimes called the Aller-Leine Tal, is a 5 day 154 mile (284 km) that takes one on a meander along a flat river drainage to either the town of Helmstedt or Magdeburg. The Baltic Coast is in Northern Germany. This is a 467-mile, 752-kilometer tour along the north coast of Germany from Flensburg near the border with Denmark to the island of Usedom near the German Poland border. The Germans call this body of water the Ost See or Ostsee but in English, we know it as the Baltic Sea. The Ems River in the Northwest corner of Germany is 258 miles or 415 kilometers long tour through relatively flat horse country. Geest Cycle cuts across northern Germany from Meppen on the Dutch border to Bremen on the Weser River. The path is a good one for older baby boomers like us (Mid-to-late sixties) and for families with children. 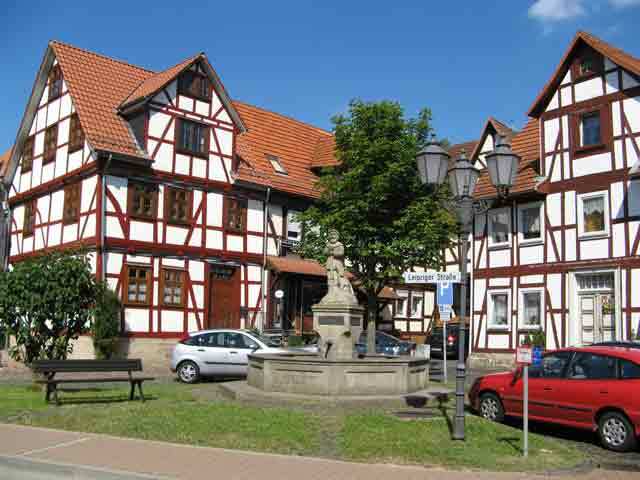 The Mecklenburg Lakes tour is a 7-day ride in Northern German from Lüneburg on the Elbe to Wolgast on the island Usedom on the Baltic Sea. We go too slow and only make it to Neustrelitz but I have now finished it and I will post the last part here soon. 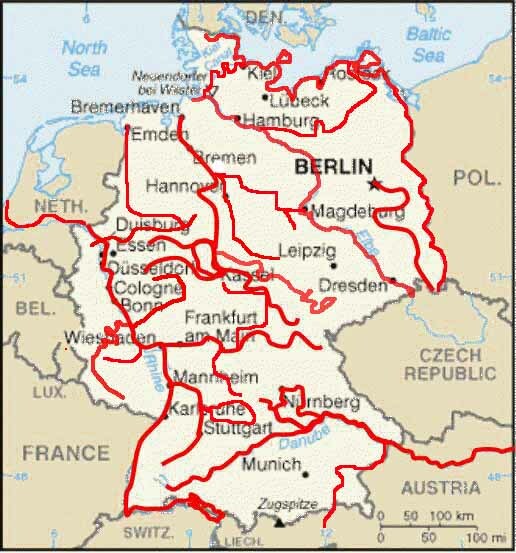 The Roman Route is in West Central Germany. 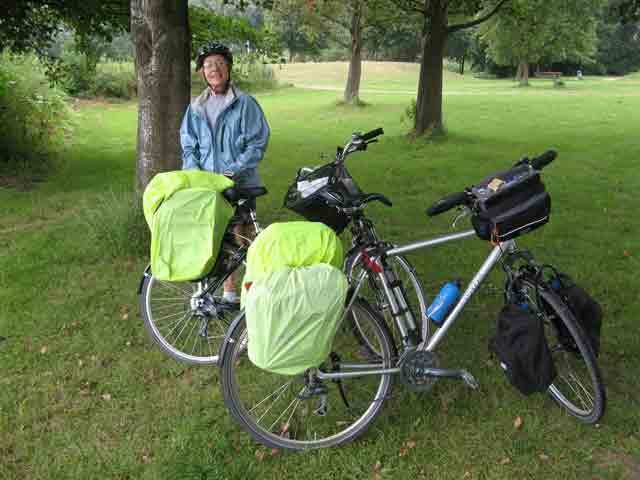 A 6-day, 197-mile (317 km) bike tour along the Lippe River in northwestern Germany. 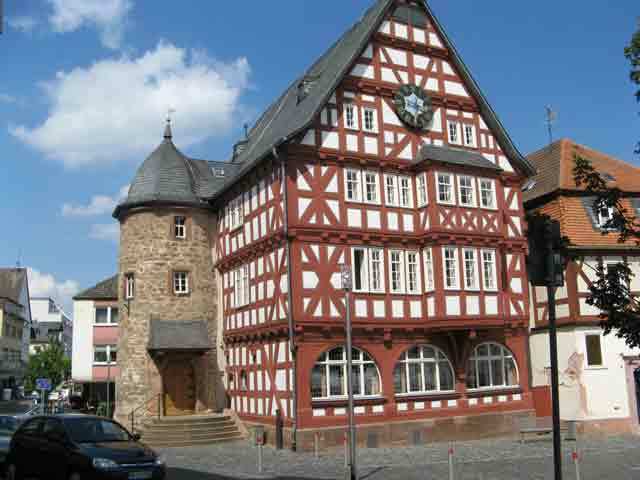 The tour starts in Xanten on the lower Rhine and ends in Detmold deep in the Teutoburg Forest. The Weser River Valley is in Northern Germany. Eight Days covering 247 miles (397 km). The Alleris sometimes called the Aller-Leine Tal, is a 5-day 154-mile (284 km) that takes one on a meander along a flat river drainage to either the town of Helmstedt or Magdeburg. The Diemel River Valley is two or three-day ride covering 115 miles (186 km). The Eder River is a 93-mile (150 km) tour took us four days at a leisurely pace with lots of sightseeing stops. The Fairytale Tour is in Central Germany. It takes 7 days and covers 276 miles (444 km) starting and ending in Kassel in central Germany. 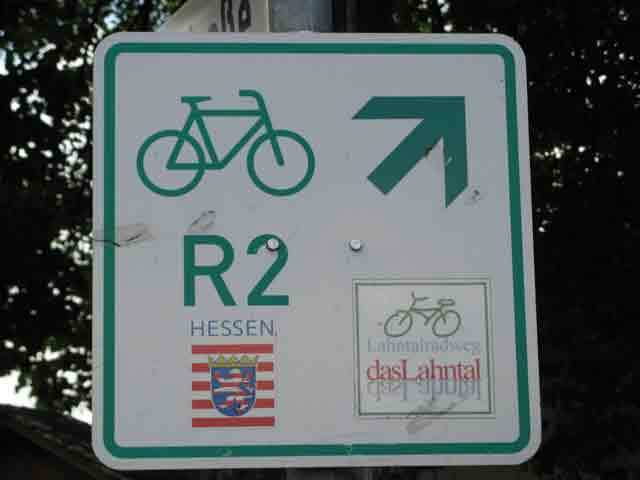 The Fulda River Valley is a three-day ride covering 132 miles (213 km). 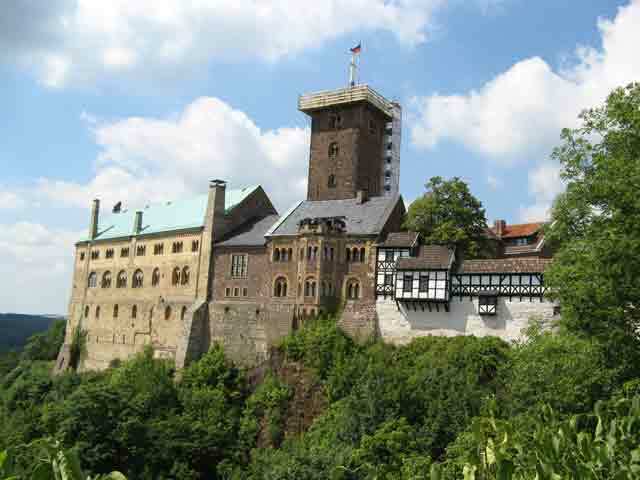 Herkules to Wartburg tour takes one from the Herkules monument overlooking the city of Kassel through hilly country to the castle of Wartburg above the city of Eisenach. The distance is only 71 miles (113 km). Hesse Rivers tour is a tour across the German state of Hesse from watershed to watershed for a distance is 146 miles (235 km). Yes, Virginia, it is a little hilly as you cross over the watershed divides but pretty too. The Kocher, Jagst, and Tauber Rivers is a somewhat hilly 5-day, 244-mile (392 km), ride from Aalen to Bad Friedrichshall then back to Aalen but we stopped at Crailsheim and took a train to Rothenburg ob der Tauber. From there we rode to Wertheim on the Main River. 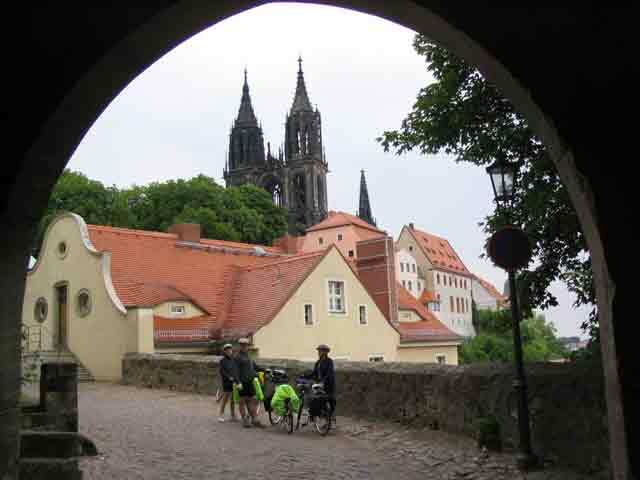 The Lahn River is an easy 3-day ride over 73 miles (117 km) of river valley dotted with castles and quaint villages. The Leine River is a 5-day, 183-mile (294 km) bicycle tour through a beautiful valley in central Germany. An uncrowded, unhurried, and picturesque ride past several historic towns and cities that nestle into the valley. 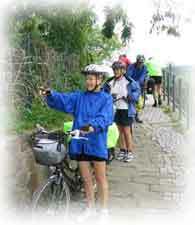 The Main is a 9-day, 325-mile, (524 km) tour along the Main River from Bayreuth to Mainz. OK, so we took our time, it was hot, so give us a break, alright. This is beer and wine country if ever there was such a thing in Germany. The Nahe River is a short 2-day, 79-mile (128 km), ride from Türkismühle to Bingen on the Rhine. The Nahe is a beautiful river valley with many historic cities, interesting natural features, dotted with many vineyards. The Saar and Mosel is in central western Germany. This is a 6-day, 162-mile, 261-km bicycle tour down the Saar from the French border to Konz on the Mosel. Then down the Mosel to Koblenz. Undoubtedly one of Germany's most picturesque rivers. The Altmühl River including the Danube from Regensburg to Passau is in Bavaria. This is a 5-day tour over 230 miles (371 km). The German Danube River from its source to Passau is in Bavaria. This is an 8-day tour over 370 miles (596 km). The Five Rivers is a 5-day, 193-mile or 310-kilometer starting and ending in Nuremberg. The Inn River from Innsbruck, Austria to Passau, Germany on the border between Austria and Germany. Half the tour is in Bavaria and the other half is in Austria. The ride is a 5-day ride and is 182 miles (293 km) long. Lake Constance is a 4-day, 150-mile (241 km) circular bike tour. The Neckar River is a 6-day tour over 232 miles (373 km). The Rhine is from the southern part of Germany north to the North Sea through Rotterdam, Holland. This is an 18-day, 592-mile, 953-km bicycle tour along one of the most important rivers in Europe. The Aller sometimes called the Aller-Leine Tal, is a 5-day 154 mile (284 km) that takes one on a meander along a flat river drainage to either the town of Helmstedt or Magdeburg. The Elbe starts in eastern Germany near the border with The Czech Republic. This is a 14-day, 540-mile, 870-kilometer tour along the Elbe River. It ends at the river’s mouth near Cuxhaven on the North Sea. The Elbe is the German part of a large river system that starts in the Czech Republic. Across the Czech border, it is called the Labe River. 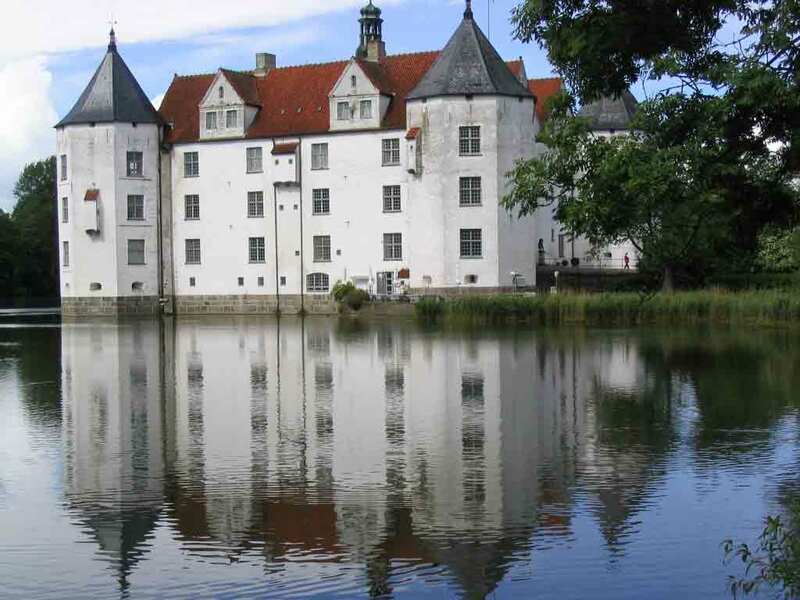 The Havel River tour that we took starts in Rheinsberg, north of Berlin, and continues south through several suburbs of Berlin then on to Brandenburg. Not counting travel days, this is a five-day, 147 miles (236 kilometers) tour. The Mulde starts in eastern Germany near the Czech Republic and southwest of Chemnitz. This is a hilly 186-mile, 300-kilometer tour. The Spree River starts in southeastern Germany and travels north to Berlin. This is a 7-day tour over 250 miles (402 km). 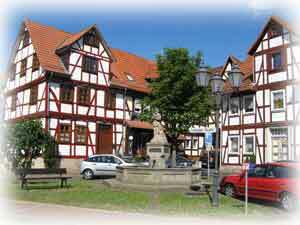 The Werra ends in central Germany although the first half is in the former East Germany. This is a 6-day, 194-mile, 313-km bicycle tour down one of Germany's last wild rivers. The Austrian Danube River Passau to Vienna is in Lower Austria. We took six days to cover the 201-mile (324 km) route, not counting the two days we spent sightseeing in Vienna. The Inn River is 182 miles (293 km) long; about half of which in Austria and the other half is in Bavaria. Our only guided tour so far is the Bike and Boat North of Amsterdam tour that uses a tour ship to move about 100 people from Amsterdam to other Dutch ports in the north of Holland. The Rhine in Holland This tour is an 3-day, 111-mile, 178-kilometer ride that completes the Rhine river system, which starts in Switzerland and ends just west of Rotterdam, Holland.